The number of foreign channels included in a pay radio or television service package will not account for more than 30 percent of the total number of channels. Under Government Decree No. 06/2016/ND-CP of January 18, on the management, provision and use of radio and television services, a foreign broadcasting channel in a pay radio or television system in Vietnam must have healthy contents conformable with the Vietnamese culture and not violate the press law of Vietnam; have met the requirement to own or use the copyrighted contents being aired or televised in such system; and have obtained a certificate of registration of service provision on pay radio and television. Besides, the channel must be edited and translated into Vietnamese by a unit licensed to edit foreign broadcasting channels and have an authorized agent in Vietnam to fulfill its financial obligations under Vietnamese regulations. The new regulation underlines that foreign channels must not broadcast advertisements from abroad. Advertising contents, if any, must be prepared in Vietnam, edited by a responsible unit, and comply with the advertising law of Vietnam. The Decree also details the joint production of radio and television broadcasts. 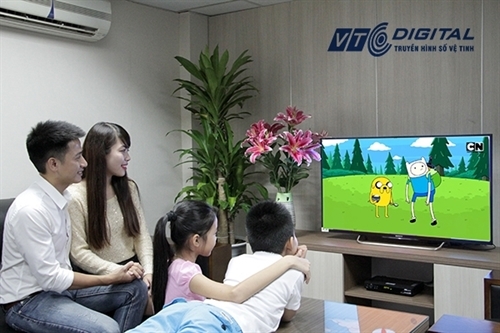 Specifically, a unit licensed to produce broadcasts for domestic channels may select its partners that are legal entities established under Vietnamese law to jointly produce part or whole of a program or channel and will take responsibility for deciding on to-be-broadcast contents of jointly produced programs or channels in accordance with the press law.